​The DAP-2660 delivers reliable, high-speed wireless performance using the latest 802.11ac standards, with maximum wireless signal rates of up to 300 Mbps using the 2.4 GHz band, and 867 Mbps using the 5 GHz band. It supports exceptional device densities and offers optimal range and coverage over both bands. It ships with a universal mounting bracket, enabling easy installation on any wall or ceiling. It also includes a crossbar adapter clip for drop ceilings. This high-speed access point has integrated 802.3af Power over Ethernet (PoE), simplifying installation in areas where power outlets are not readily accessible.​T​he DAP-2660 supports advanced radio management features such as band steering, airtime fairness, and load balancing. Band steering detects and steers 5 GHz capable clients away from the overcrowded 2.4 GHz network to the less congested 5 GHz network. Airtime fairness allocates time equally among clients, so each client can transmit at its highest speed​ ​regardless of location or 802.11 standard version. Load balancing ensures optimal network performance by limiting the maximum number of users per access point. Network administrators have multiple options for managing the DAP-2660 Access Point, including Web (HTTP), Secure Sockets Layer (SSL), Secure Shell (SSH), and Telnet. 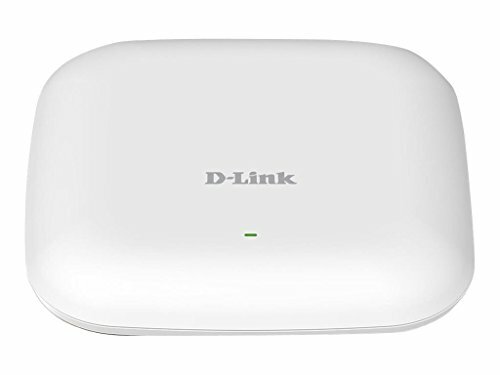 For advanced network management, administrators can use the D-Link Central Wi-Fi Manager controller software to configure and manage multiple access points from a single location. Scalable and flexible, Central Wi-Fi Manager is accessible anytime, anywhere, though the Internet by using a web browser. In addition to a streamlined management process, Central Wi-Fi Manager software provides enterprise-level features, including bandwidth optimization, captive portal, and RF optimization-Link offers a Limited Lifetime Warranty on the DAP-2660 to further its commitment to product quality and long-term customer confidence.